Betty Roberts was no stranger to testing societal convention with her indomitable spirit and relentless determination. Returning to college at age 32 as a wife and mother, Roberts would go on to become a teacher, lawyer, state legislator, candidate for governor, and eventually Oregon’s first woman Supreme Court Justice. Emerging onto the political scene during the tumultuous 1960s, Roberts fought hard for human rights and responsible environmental stewardship. A true political trailblazer, she had a hand in several pieces of groundbreaking state legislature, including Oregon’s ratification of the Equal Rights Amendment. 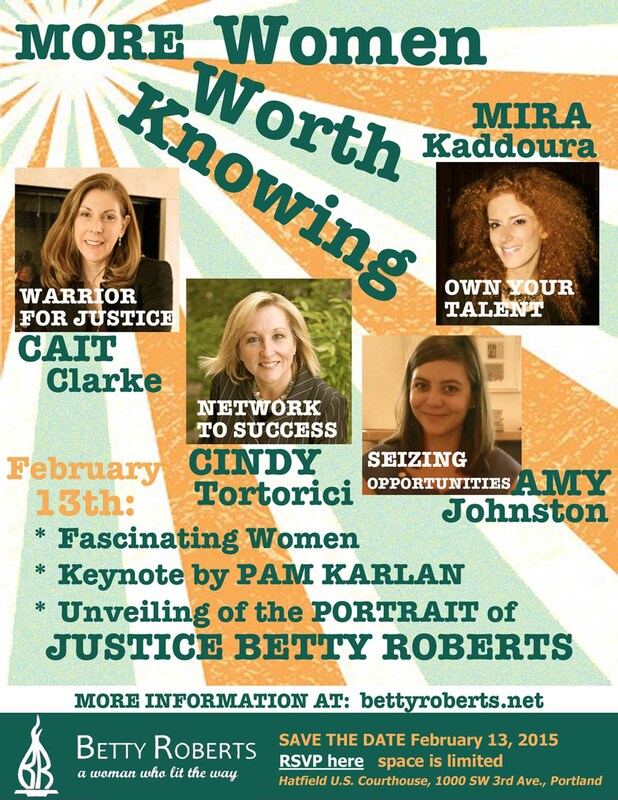 On Friday, Feb. 13, at the Hatfield U.S. Courthouse, Betty Roberts will be honored for her invaluable contributions to the state with an afternoon of short presentations and the grand unveiling of her portrait, which will later reside in the Oregon Supreme Court Building. The celebration, “Portraits of Possibilities: Women at Work,” will feature a myriad of topics, including education, business, and fair labor. The event boasts several short presentations by nationally prominent women, followed by a keynote address from Pam Karlan, a peer of Justice Roberts’s who now works for the Federal Civil Rights Division. Other speakers include Cait Clarke, Alice Tang, and Seema Patel, among others. Guests are invited to stay after the presentations and unveiling for a reception with wine, beer, and tasty snacks—“just like Betty would have liked,” according to the event invitation. The portrait itself was funded through generous donations to the Betty Roberts Portrait Project, and facilitated by an independent portrait committee. Its artist, Lynda Lanker, is a local lithographer and painter celebrated for her stark and powerful portraiture of women. 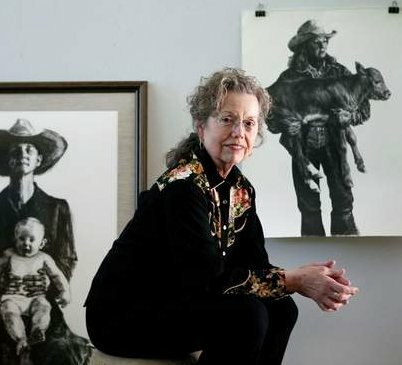 For the past two decades, Ms. Lanker has traveled across the western United States, bringing the spirit of tenacious women alive through her “Tough by Nature” art collection. Space is limited, so those interested in attending must register and RSVP online. The event will be held from 1 to 6 p.m. in the Mark O. Hatfield U.S. Courthouse, located in Portland, Ore. Adult tickets are $10 apiece, while students may attend for free. 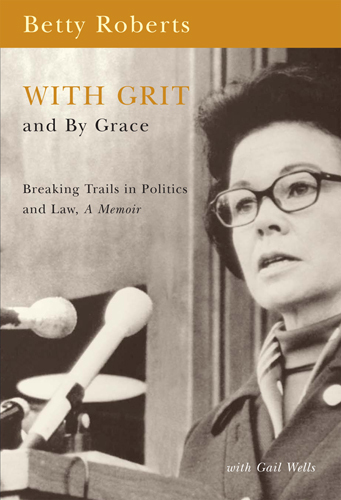 Copies of Betty Roberts’s memoir, With Grit and By Grace, will be available for purchase from the Oregon Historical Society at the event. Anyone who can spare the time is invited to attend this momentous celebration, aptly inclusive and inspiring in honor of the woman who continually used her talents to better the whole of the community around her. Photos courtesy of Oregon Historical Society and bettyroberts.net. It’s trivia time! Put on your thinking cap and find a comfortable seat; the OSU Press is a fascinating place to work and we want to share some of the fun. Keep scrolling to test your knowledge about the Press, its authors, and some of its most popular titles. Here’s a hint: browsing the website and our catalog may be a shrewd quiz-taking tactic. Think you have what it takes to be an OSU Press Whiz Kid? Let’s find out! Answers to all questions can be found at the bottom of the page. 1. When was Oregon State University Press founded? 2. How many books has OSU Press published? 3. One of our first titles, Weather of Oregon, initially retailed at what price? 4. How many catalog editions does the Press publish each year? 5. Which author had a book published by OSU Press in 2014? 6. OSU Press belongs to which national organization? 7. Which OSU Press book features a bird on its cover? 9. How many university presses exist in the state of Oregon? 10. How many titles are slated for publication by OSU Press this Spring 2015 season? 1. B. 1961. The OSU Press was founded the same year Oregon State University adopted its current name. 2. A. About 400. That’s a lot of books to put on your reading list! 3. B. $0.75. That would buy you…half a stick of gum today? 4. D. 2. The Press prints two different catalogs each year, one for each the fall and spring seasons. Our catalogs are available both online and in hard copies upon request. 5. C. Tim Palmer. His book, Field Guide to Oregon Rivers, is a popular, colorful work that explores 120 different waterways throughout the state. You can take a look at it here. 6. B. Association of American University Presses. The AAUP contains 136 members with representatives in 12 countries. 7. A. Mink River by Brian Doyle. One of the Press’s few novels and a favorite among readers, the book follows the adventures and misadventures of residents of a tiny coastal town in Oregon. Read more here. 8. 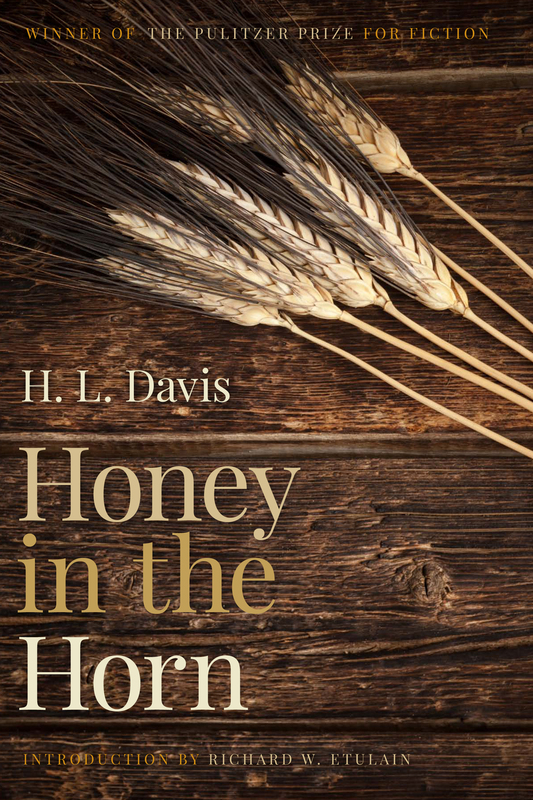 D. Honey in the Horn by H.L. Davis. You can read the Oregon classic, as well as a new introduction by Richard W. Etulain, when it prints this June! 9. A. 1. Yay for being unique! 10. C. 12. We have a packed front list coming this spring, covering topics from forestry to philanthropy. You can view our Spring 2015 catalog here. The opinions expressed below are those of intern Victoria Hittner and not necessarily those of Oregon State University Press. Long holiday weekends are lovely. They provide time for extra recreation, a little relaxation, and perhaps even the opportunity to read a book! But they also offer opportunities for reflection upon why that third day off exists. As Martin Luther King, Jr. Day approaches, we may not all have the capacity to effect change as Dr. King did. We do, however, have the tools necessary to support and aid others within our own communities. So, in honor of MLK Day, here is a list of several powerful memoirs, biographies, and histories. Follow the lives of the movers and shakers of the Pacific Northwest as they stood up for what they believed in, achieved the near impossible, and made our little pocket of the world an even more beautiful place to live. African American journalist Beatrice Morrow Cannady bravely utilized her profession to fight segregation and discrimination between 1912 and 1936. A Force for Change highlights Cannady’s important role in advocating for better race relations in Oregon in the early decades of the twentieth century. Using her skills as a reporter, editor, and publisher, Cannady lobbied for the protection of human rights, no matter one’s color or station in life. Mangun’s work helps dispel the myth that African Americans played little part in Oregon’s history and restores due recognition to a woman who played a vital role in developing Oregon politics. Remembering the Power of Words recounts the personal and professional journe y of Avel Gordly, the first African-American woman elected to the Oregon State Senate. A brave and honest telling of Gordly’s life, the book follows the struggles of growing up black in Portland in the mid-twentieth century and the incredible power and resilience that stem from determination. Important as a biographical account of one significant Oregonian’s story, Remembering the Power of Words also contributes broader narratives on black history and women’s rights within the state. 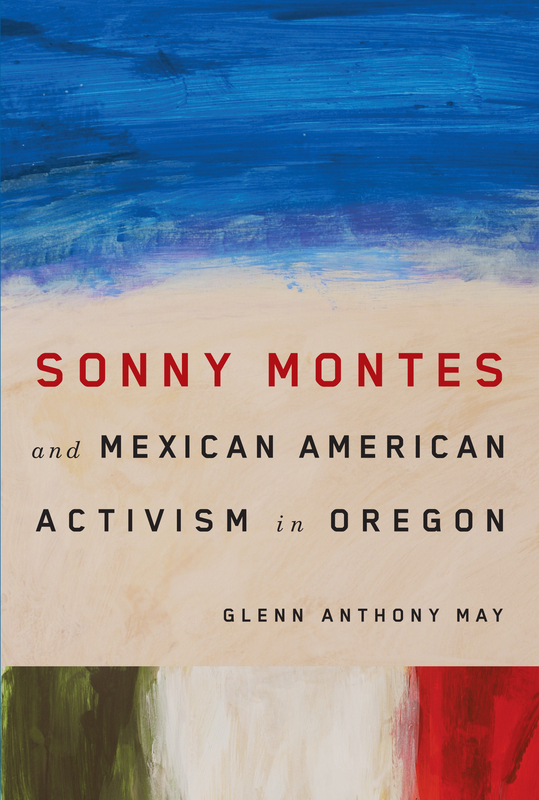 On one level a biography of Oregon’s leading Mexican American activist, this book also tells the broader story of the state’s Mexican American community during the 1960s and 1970s, a story in which Sonny Montes had an important part. Montes became a community leader and visible public figure after his work in collective action like sit-ins, protest marches, and prayer vigils—always with a consistently high level of Chicano support. May’s book deepens our understanding of the Chicano Movement in Oregon and beyond as well as providing a much-needed account of the Mexican American community in Oregon during that time period. Between 1871 and 1887, Duniway, a leader in the women’s suffrage movement, chronicled this “true history” in the pages of The New Northwest, one of the few newspapers in the nation devoted to women’s advancement. This compilation of her work provides a vivid portrait of the pioneering suffragist and the turbulent era during which she lived, when traditional social attitudes and institutions were directly challenged. Duniway’s writing sparks with life, her wit and love of adventure evident in tales of attending séances, falling off stagecoaches, being hung in effigy, and barnstorming the Pacific Northwest in the company of Susan B. Anthony. 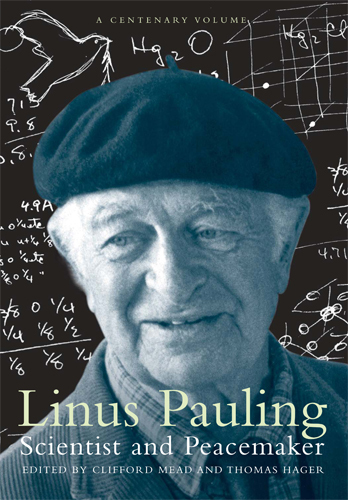 One of the most brilliant scientists and controversial figures of the twentieth century, Linus Pauling was the only person to win two unshared Nobel Prizes. This unique volume gathers his words and those of his contemporaries and students, together with photographs, drawings, and reproductions from the Pauling Papers. As both scientist and citizen, Pauling was passionate and deeply thoughtful. From his penning of renowned book The Nature of the Chemical Bond to his work with vitamin C as a cure for cancer and cold prevention, Pauling left an indelible mark upon the scientific field. We really can do it all, ladies. Take a page from Betty Roberts’ book and use a combination of tenacity, passion and dedication to chase your own dreams. In her memoir, Justice Roberts reflects on her role as a mother, wife and political trailblazer. Her story is important to the history of women’s struggles to challenge prevailing stereotypes, but it is also a deeply personal story of a life sometimes stark, sometimes humorous, often exhausting, and always brightened with friendships and family. With cultures and economies among the most vulnerable to climate-related catastrophes, Native peoples are developing responses to climate change that serve as a model for Native and non-Native communities alike. Having survived the historical and ecological wounds inflicted by colonization, industrialization, and urbanization, Indigenous peoples are using tools of resilience that have enabled them to respond to sudden environmental change and protect the habitat of salmon and other culturally vital species. Asserting Native Resilience presents a rich variety of perspectives on Indigenous responses to the climate crisis, reflecting the voices of more than twenty contributors. Browse our complete list of titles to find more on influential figures and groups in Oregon’s history. While you’re at it, make sure to catch a sneak peek of some our new and upcoming books; there’s always something exciting to read! Who knows, you just may be inspired to effect some change of your own. We may be in the heart of a chilly Oregon winter, but the Press team is already prepping for spring. January gave us the new year—and our beautiful Spring 2015 catalog! It’s news that’s too exciting to keep to ourselves, so browse below to enjoy a sneak peek of several new titles from OSU Press. Join Melinda Jette on a fascinating historical journey as she delves into one of the earliest sites of extensive intercultural contact in the Pacific Northwest. The community of French Prairie, located in the fruitful Willamette Valley, served as the destination of choice for many Anglo-Americans who traveled the Oregon Trail. Their arrival uprooted the hearth of “crossed races” where French-Indian and indigenous families had peacefully co-existed for decades. 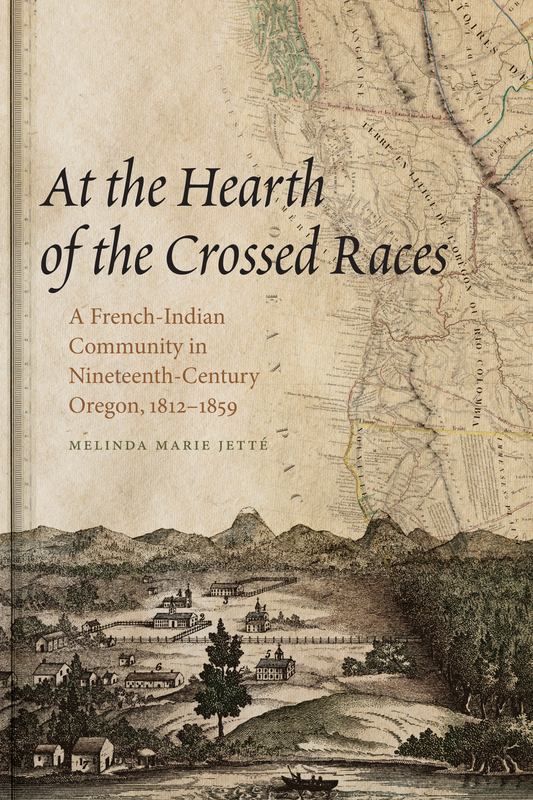 At the Hearth of the Crossed Races provides a window into the oft-ignored multi-racial history of the Pacific Northwest and offers an alternative vision of early Oregon via a community that dared to challenge notions of white supremacy, racial separation, and social exclusion. 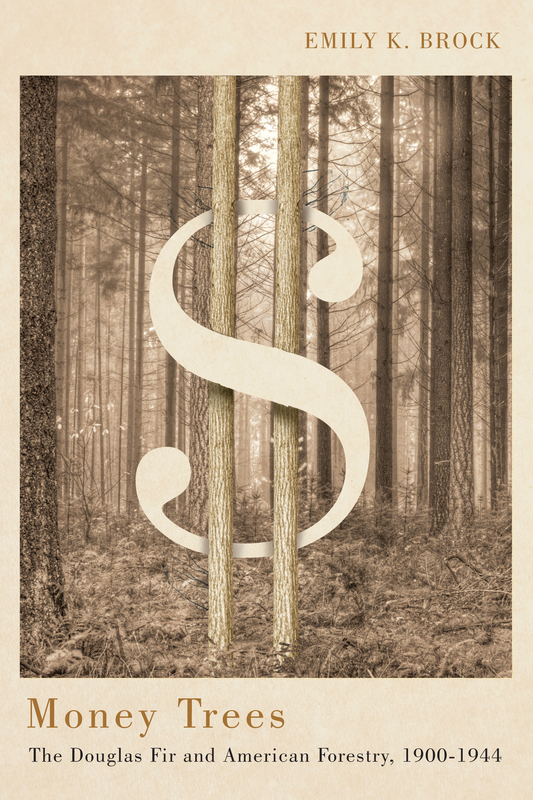 Money Trees offers readers a nuanced vision of forestry’s history and its past relationship to both wilderness activism and scientific ecology. Emily Brock begins by exploring early twentieth century environmental changes in the Douglas fir forests of the Pacific Northwest, eventually covering the subsequent national challenges and policies that shaped forest management for decades to come. From land management gurus to amateur environmentalists, Money Trees offers anyone interested in natural resources a fresh perspective on forestry. Originally published in 1935, Honey in the Horn has become something of a state treasure. Full of humor and humanity, H.L. Davis’s novel transcends the limitations of its time through the sheer power and beauty of his haunting prose. Set in Oregon in the early years of the twentieth century, Honey in the Horn chronicles the struggles of homesteading in a poignant and very real manner, bringing the spirit of Oregon alive without romanticizing the lives of her early settlers. What lies beneath the shimmering beauty of rivers? 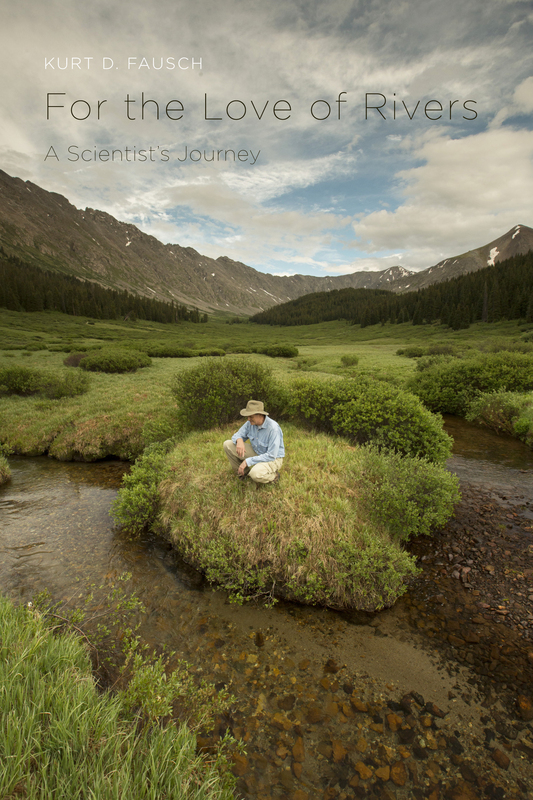 Stream ecologist Kurt Fausch helps his readers find an answer via his own research, as well as the breakthrough work of river ecologist Shigeru Nakano. More than simply a book about stream ecology, For the Love of Rivers celebrates the interconnectedness of life, exploring the human fascination with rivers and what we can do now to ensure preservation of their natural power and image. 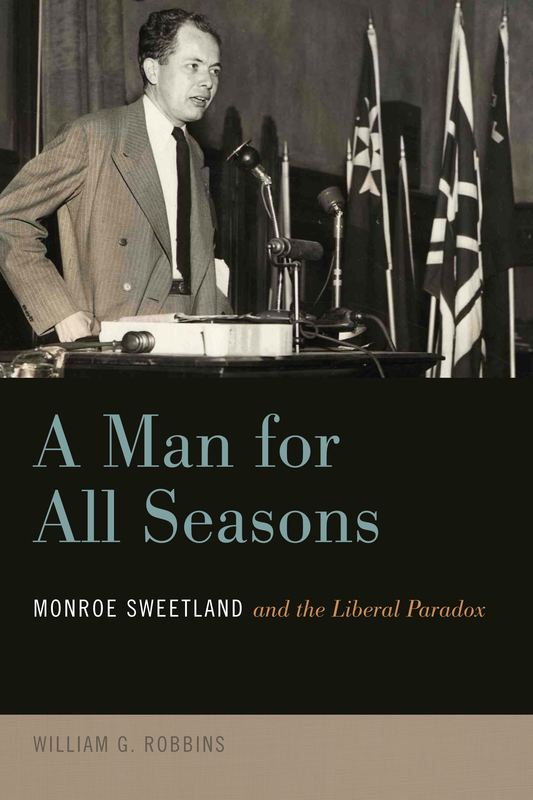 Historian William Robbins illuminates the wrenching transformation of American political culture during the twentieth century by looking at the life of prominent Oregon political leader Monroe Sweetland. Racial and economic inequalities motivated much of Sweetland’s civic life, propelling him into the national spotlight and earning him a secure spot in regional memory for generations to come. From the Bilingual Education Act of 1968 to the 26th Amendment, Sweetland fought for important legislation that would later shape the entire political landscape of America. Liked what you saw? Make sure to check back in with us as your favorite book nears its publication date. Visit the blog again in coming weeks to catch tantalizing glimpses of even more new titles! If you'd like a hard copy of our Spring 2015 catalog, please send us an email.